Founded in 1997 with a single property, PVR Cinemas has today revolutionized the way entertainment is consumed in India. With over 579 screens in 126 locations across 50 Indian cities, it is India’s most premium film entertainment services. It brings you the best technology, architecture infrastructure, content, ambience and various cinema formats like PVR Talkies and PVR Director’s Cut with delightful food and beverage services. If you want to experience entertainment at its best, PVR is the place to be, and if you want to experience it at its cheapest, buy your PVR tickets via Zingoy. 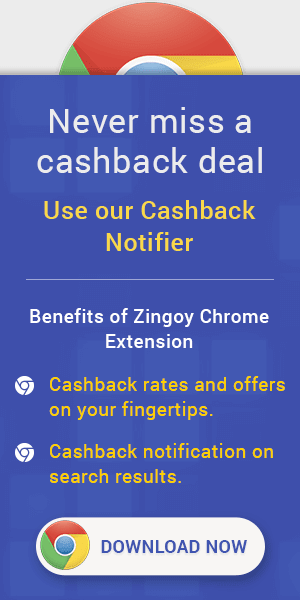 Yes, Zingoy not only brings you the latest discounts and coupons on PVR movie tickets but also offers you cashback above it. All you have to do is buy your movie tickets using links on this page. You can also create your personal Zingoy links for PVR and share them with your friends and family. Every time they book tickets using your Zingoy shopping links, you earn some more cashback. Save another 20.0% by using Gift Cards on your shopping at PVR Cinemas.